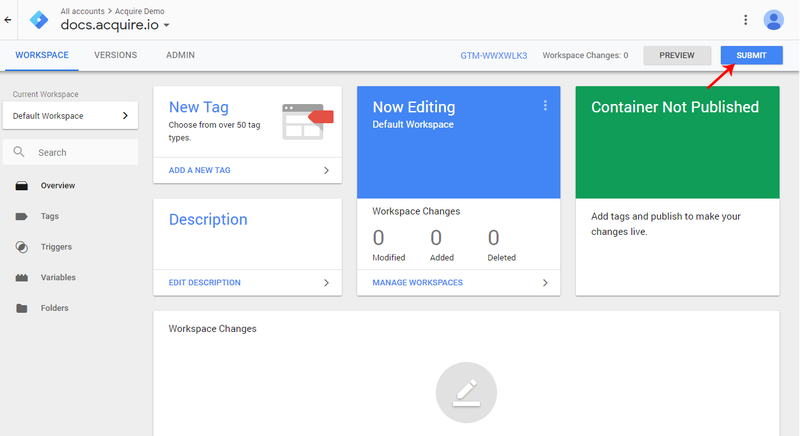 Google Tag Manager is a tag management system that allows you to quickly and easily update tags and code snippets on your website or mobile app. 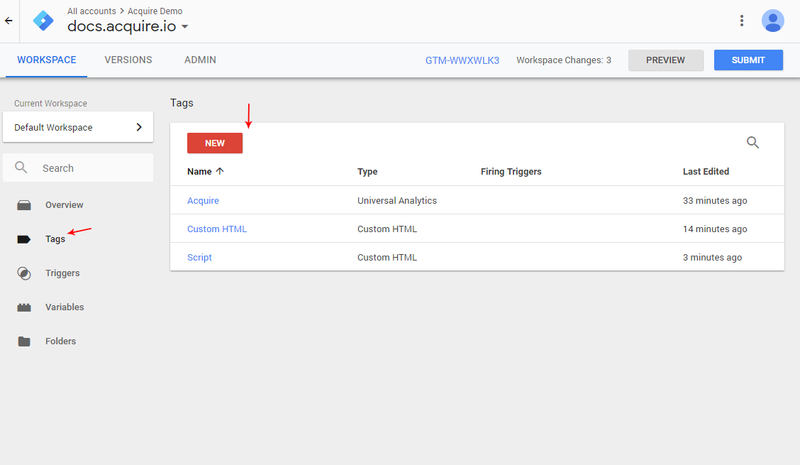 Once the Tag Manager snippet has been added to your website or mobile app, you can configure tags via a web-based user interface without having to alter and deploy additional code. 1) Go your account Tag manager dashboard > Workspace. 2) Click on add a New. 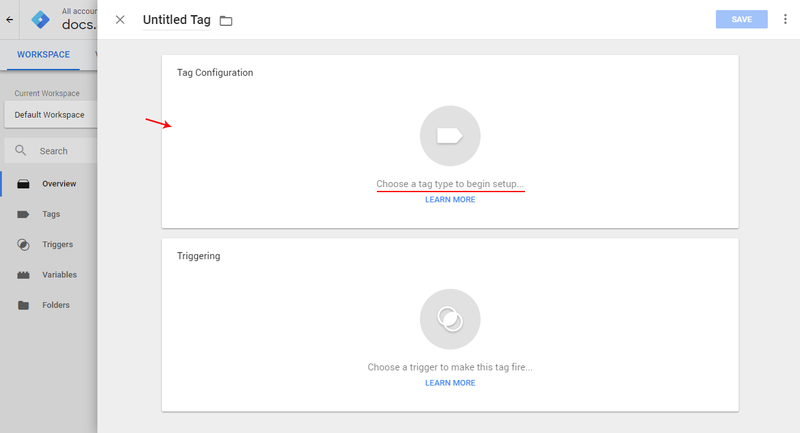 3) Choose ‘tag type to begin setup’. In Tag type select ‘Custom HTML’ Tag, you can also edit this tag name. 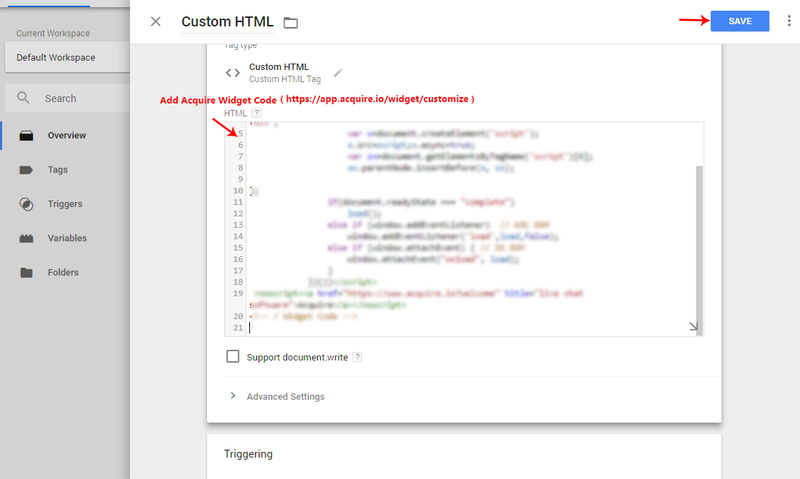 In Custom Html add your Acquire Chat Widget code. 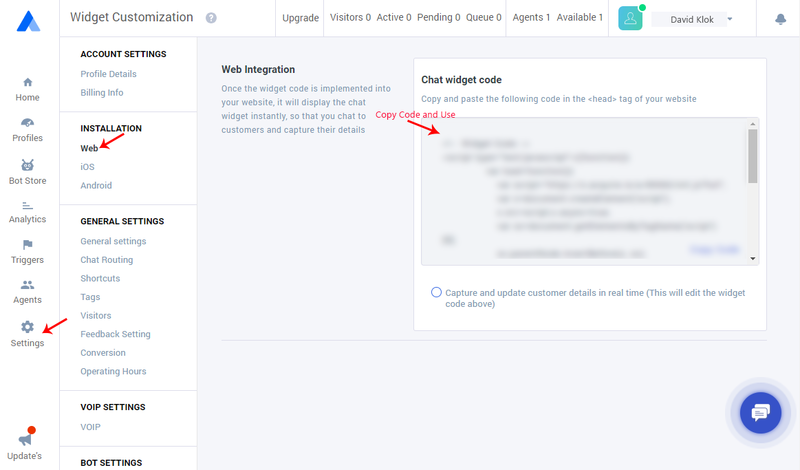 Dashboard > Setting > Installation > Web and find chat widget code from there. 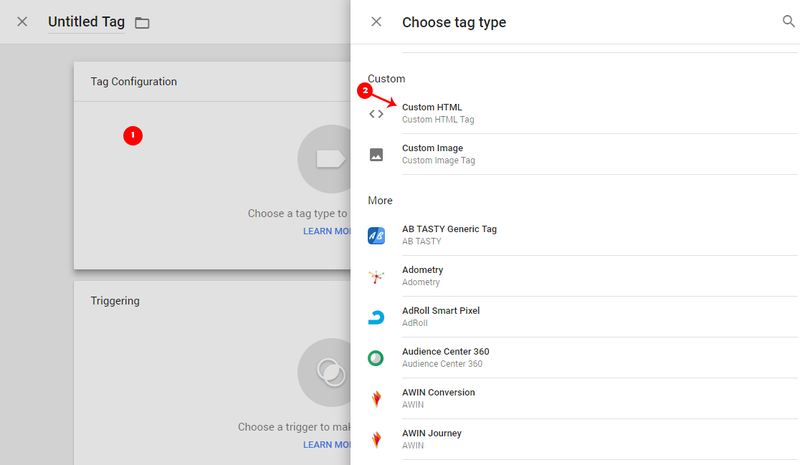 If you want to see your tag list, click on left side menu on Tags. In your Workspace, Go to top menu bar and click on ‘Submit’.